Rhythm is a traditional low-rise Asian-Colonial style, luxury hotel in Lonavala. Situated at only a 2-hour drive from the busy cities of Mumbai and Pune, Rhythm offers a beautiful environment that’s completely in harmony with nature. So, if you are in Mumbai or Pune, consider taking a trip to this luxurious hotel in Lonavala during the beautiful Christmas week. In this blog we have gathered ideas, to help you live the magic of Christmas holiday at Rhythm. Located in Lonavala, Rhythm resort is the perfect Christmas getaway for families who don’t wish to venture too far out of the city. A paradise of luxury amenities, the hotel leaves no stone unturned in making sure this season is the jolliest for its guests. Choose from its cypress and banyan suite – take a dip in its pool, get a soothing massage at the spa, indulge in various indoor games and enjoy the festivities. The hotel offers exquisite comforts at amazing prices! For the most comfortable experience ensure you book Rhythm 5 star resort in Lonavala online. Its hassle free! Rhythm can accommodate social celebrations and events of up to 500 people. This resort in Lonavala has a multitude of indoor and outdoor venues and vast open lawns. With a skilled event team and an expert F&B team – Rhythm ensures to wow your guests with the variety and taste of our food. Avail Rhythm resort’s-Imagica Package for 2N3D. This luxury resort in Lonavala offers tickets to Imagica with pick up and drop from the hotel. Adlabs Imagica is the best destination if you want to take your family out to enjoy some awesome moments away from home. As India’s largest holiday destination, Imagica has something for everyone and more than enough capacity to accommodate all travellers during their stay. 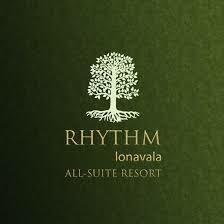 Rhythm emanates the warmth and comfort of a home, with the touch and spirit of a 5 star resort. The team takes great pride in the quality of service offered to guests. Be it the lip-smacking food or the personalized service by the dedicated staff, meticulous attention is paid on every detail to make sure guests have a memorable experience. So this Christmas make your festive season more special. Simply get in touch with the team at Rhythm and unfold your beautiful experience.